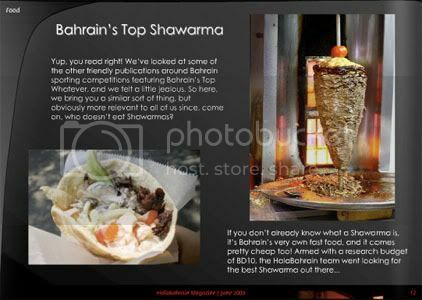 - Bahrain's Top Shawarma: We've got some good Shwarma joints in town, but who serves the BEST? We do a full review of the best places out there and pick the best Shawarma in Bahrain! 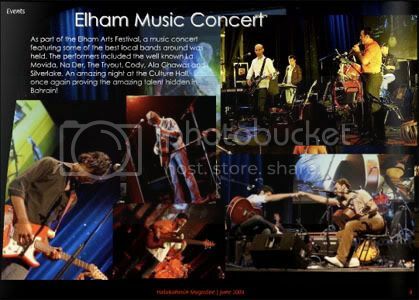 - Elham Music Concert: Bringing together some of the best local bands out there, Elham put together a concert at the Culture Hall as part of their 4 day arts festival! - Travel - Turkey: Want a new place to visit on your holidays? Check out Turkey! Centered between Europe, Asia, Africa, and the Middle East, it has the best of all! 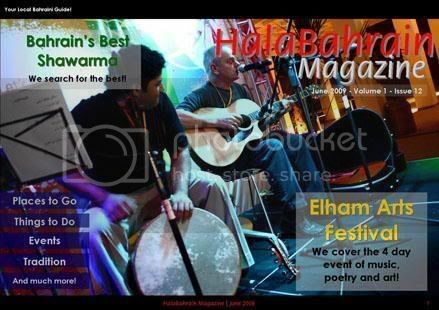 - Also in this issue: more on the Elham Arts Festival, events happening at Bahrain City Center, RedBull Music Academy, flying to Dubai, and more!